Yarn Type SALE 20% OFF! An unbelievably soft, tweedy chenille yarn. Sirdar Plushtweed comes in a range of 6 printed shades that includes colours such as Rocco a bright pink, Lavish a deep red and Raven a white and black mix. The effect these shades creates is wonderfully luxurious. We have designed a series of leaflets with trendy designs for women, girls and the home. We have kept these designs simple so that the colour effect of the yarn can truly be seen. Machine washable. Wool Cycle. 100% Polyester. 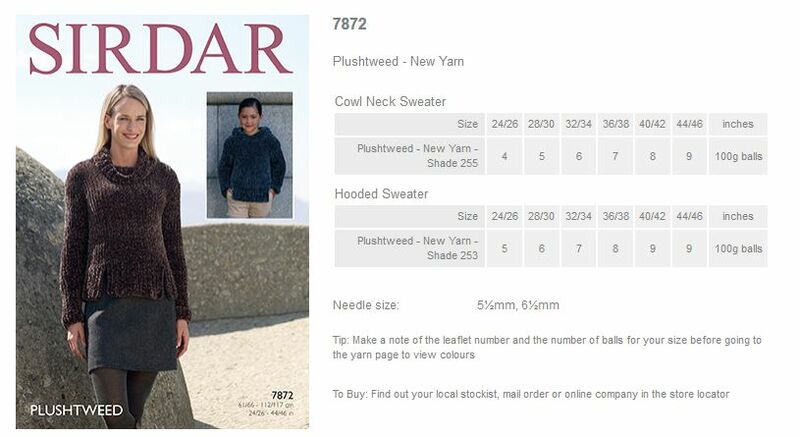 Leaflet with designs for a Cowl Neck Sweater and Hooded Sweater using Plushtweed. 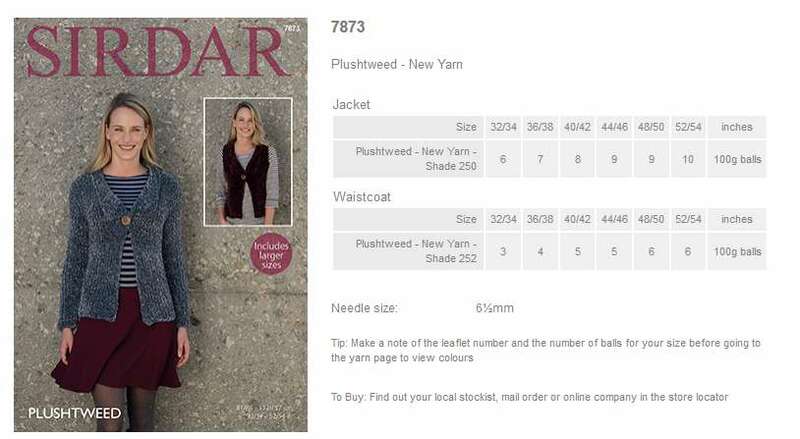 Leaflet with designs for a Jacket and Waistcoat using Plushtweed. 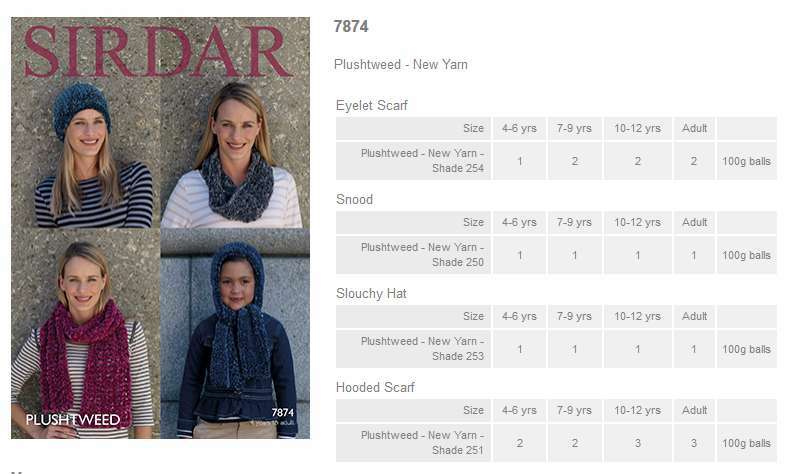 Leaflet with designs for an Eyelet Scarf, Snood, Slouchy Hat and Hooded Scarf using Plushtweed. 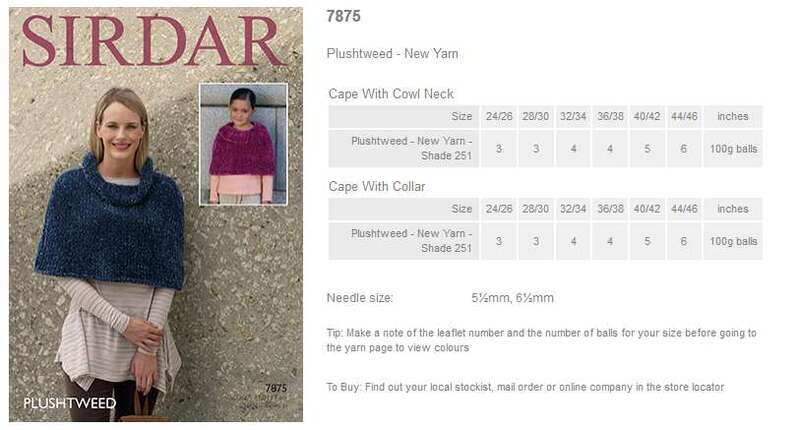 Leaflet with designs for a Cape with Cowl Neck and Cape with Collar using Plushtweed. 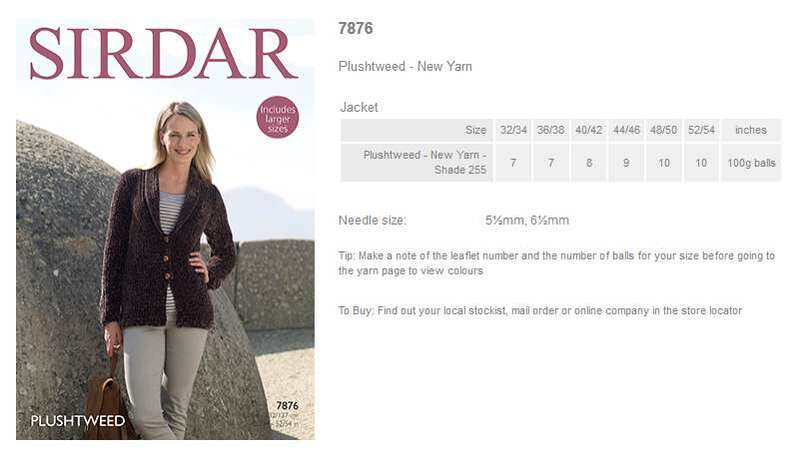 Leaflet with designs for a Jacket using Plushtweed. 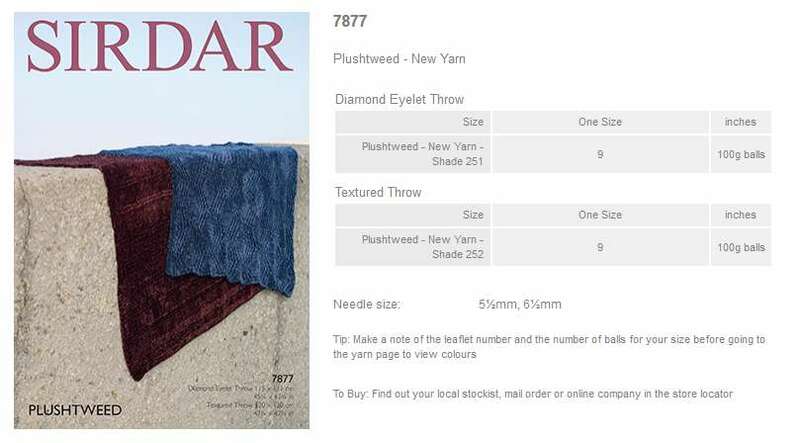 Leaflet with designs for a Diamond Eyelet Throw and Textured Throw using Plushtweed.